To this day, the Blue Eagles still face the Red Lions in a number of tournaments (like Filoil and PCCL) but when Ateneo was still in the NCAA (that was many decades ago), these two universities were the fiercest rivals. 'Twas Blue vs. Red back then. 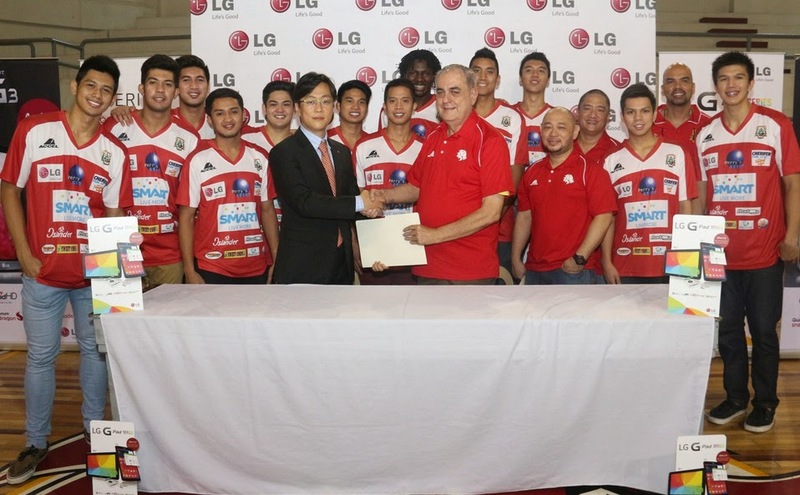 Anyway, San Beda is leading the ongoing 2014 NCAA Senior Men's basketball tournament so I guess all Red Lions do deserve to bring home a powerhouse G Pad Android slate from the Korean Giant. I mean, why not?! 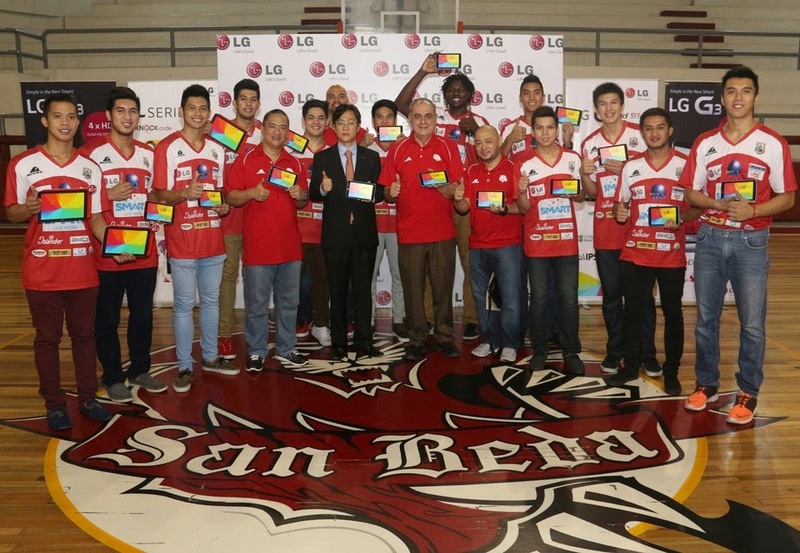 As the National Collegiate Athletic Association (NCAA) Season 90 progresses, defending champions San Beda Red Lions once more launch a fresh bid for the championship crown, this time with the support of LG Mobile. 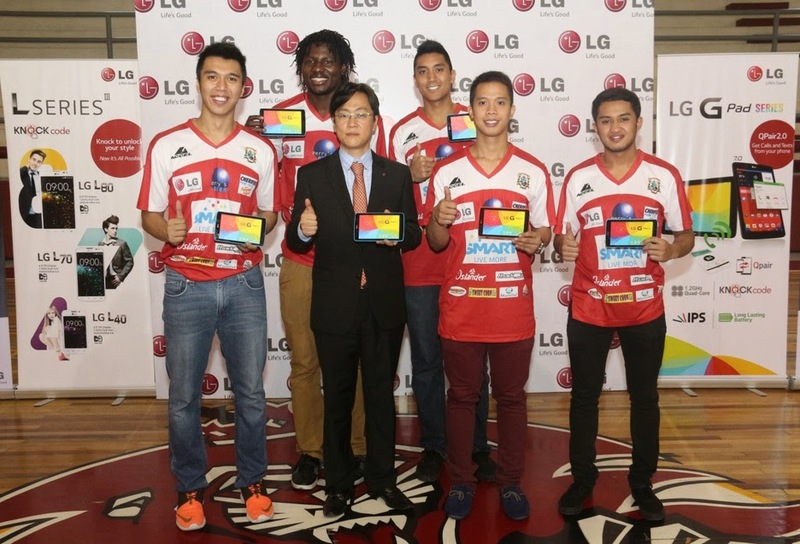 The global technology innovator powers the Red Lions team this season with units of the new LG G Pads given to each member of the collegiate squad to keep them inspired and in touch with their family, friends and teammates, catch up with their academic endeavors through a device that can be accessed on the go, as well as be entertained by video or Internet browsing in between arduous practice sessions and games. Following the successful Philippine launch of the LG G3 last July, LG recently unveiled its two new tablet models, starting with the LG G Pad 7.0 and followed by the LG G Pad 10.1. LG’s smallest tablet, G Pad 7.0, gives users a truly portable entertainment hub that delivers both mobility and power. And the G Pad 10.1 boasts an expansive display powered by an 8,000mAh battery that gives users an immersive experience for hours and hours of entertainment wherever, whenever. The two new G Pad devices offer just the right balance of performance, personality and price to fill the gap between entry and premium tablets. They are indeed great additions to LG’s first G Pad, the LG G Pad 8.3, which was launched in 2013. The new LG G Pad models feature a 1.2 GHz Quad-Core processor, 1GB RAM and a True IPS HD display (1280 x 800), housed in a stylish and ergonomic body with the G Pad 7.0 available in black and white, while the G Pad 10.1 in black and red. With their rounded edges, the tablets are designed to be held comfortably using one hand. LG’s effort to simplify the user experience across its entire mobile device portfolio continues with the new G Pad lineup. The graphical user interface (GUI) of all three tablets was designed to be clean, clutter-free and easy to navigate. LG adopted a minimalistic GUI design with flat graphics and a circular motif inspired by the LG logo, consistent with the look and feel of the recently unveiled LG G3 smartphone. An amplified Q Pair 2.0 can be experienced as well in the new LG G Pads as users can now answer calls and texts through their tablets just by “Q Pairing” their phone to the device. The new LG G Pads will also include the acclaimed KnockCode security feature so customers can power on and unlock their G Pad in one step with a pattern of taps. The G Pad will recognize up to four sets of knock patterns so family members can share the same tablet while still being able to keep their data and photos private. Smart Keyboard and Dual Window will be also included in the tablet trio. As a key adaptive technology featured on LG’s latest G3 flagship smartphone, Smart Keyboard reduces input errors by up to 75 percent by tracking and analyzing typing habits and intuitively “knowing” what word the user intended to type. Dual Window can split the screen and run two applications at the same time, making multitasking easier than ever. The new LG G Pads are now available in the Philippines with suggested retail prices of Php 8,990 for LG G Pad 7.0 and Php 16,990 for G Pad 10.1.